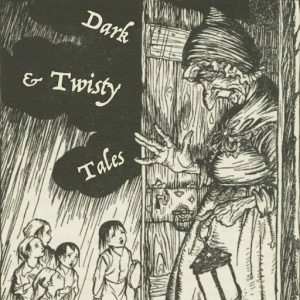 ‘Dark and Twisty Tales’ is a seasonal, twice monthly telling of the darker and lesser known folks stories and fairy tales. Because I imagine these stories being told on a ‘dark and stormy night’, they are now being released twice a month from the autumn equinox (Sep 21st) to the spring equinox (March 21st). If you’re listening, especially if you like it, please let me know by posting feedback, ratings or reviews wherever you get your podcasts. Sharing with your friends helps me so much too! Thank you so much!! Here are a few for you to try…but be warned, they are NOT for the faint of heart.